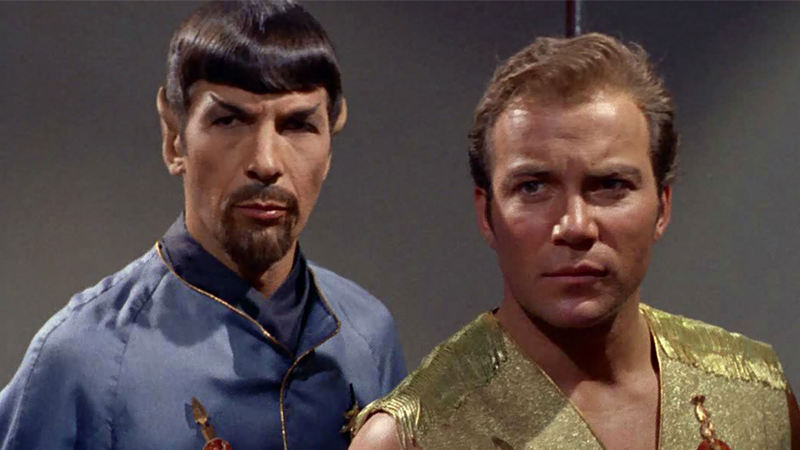 Star Trek's Mirror Universe is one of - hell, the - most famous parallel universes in science fiction history. In fact, it almost has a timeline of its own as rich as the prime reality of Trek itself. So if you've been confused by all the Mirror-verse happenings in Discovery - and why wouldn't you be? - we're here to help put it all together. The order we've explored the Mirror Universe in is, just like Trek as a whole, not exactly chronologically linear. As each Star Trek series has jumped backwards or forwards in time, so has our window into this most famous of alternate realities. Some of the "newest" information on the Mirror Universe is two decades old, while new information about its early years has been revealed repeatedly over the course of Star Trek: Discovery's ongoing first season, which has spent its back half on a new Mirror adventure. So, for convenience's sake, we'll be running through this chronologically in terms of the Mirror Universe's timeline, not by the chronological order of Star Trek series themselves. Just as Enterprise itself reflects some of the earliest years of Starfleet and the eventual birth of the Federation, much of what we learn of the Mirror Universe in both parts of the season four story "In a Mirror, Darkly" is from some of the earliest days of the rise of the Terran Empire. Although not explicitly shown, the Terran Empire seemingly rose out of a political faction on Earth before humanity took to the stars. The Mirror version of Captain Archer described the Empire as having been around for hundreds of years, and given Enterprise is set in the 2150s, it's likely some form of it existed pre-human spaceflight or even before the unification of Earth. Either way, the Terran Empire as we know it really began in 2063, when Zefram Cochrane made contact with the first Vulcans to land on Earth, as he does in Star Trek's prime reality. Instead of offering a handshake, Mirror Cochrane simply shot the first Vulcan he met and then pillaged their ship - stealing technology that sends humanity not just beyond Earth, but on a mission of conquest against the other sentient species of the cosmos. 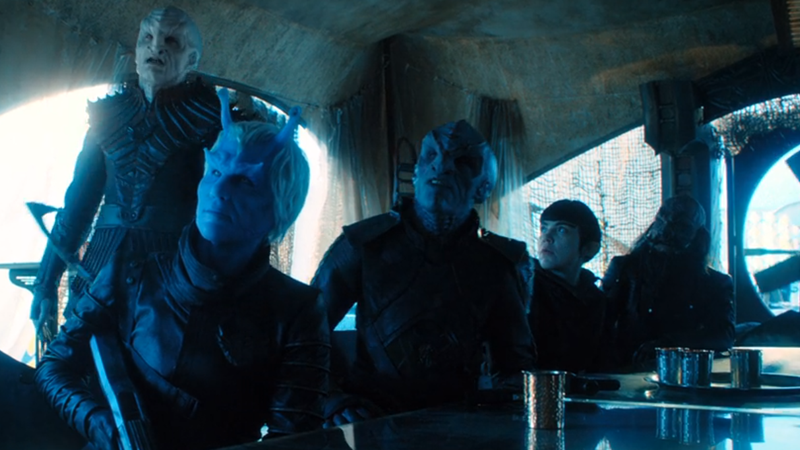 Just under a century after that first meeting, the Terran Empire was fully established, and the Vulcans, Andorians, Tellarites, Orions and Denobulans had all been conquered and subjugated by the human regime. And that's when a temporal accident sent the USS Defiant - a 23rd-century, Constitution-Class cruiser like Kirk's Enterprise - to the 22nd-century Mirror Universe during the events of "The Tholian Web". Although it was briefly captured by the Tholians, the Mirror version of Archer's Enterprise crew took it by force. The Defiant was wildly more advanced than any other ship known to the Empire at the time, and Archer planned to use its immense power to overthrow the current, unknown Emperor and rule the Terran Empire. Instead, his former "Captain's Woman" Hoshi Sato betrayed him, poisoned him and became Empress herself after threatening to bombard Earth with the Defiant's advanced weaponry, if the current ruling order didn't submit to her will. They did. Roughly a century later, in the 2250s, not much has changed for the Empire when Star Trek: Discovery enters the Mirror Universe in its currently-ongoing story line. The Empire was still the dominant force of the Alpha Quadrant, although apparently the title bestowed upon its ruler had become gender-neutral since the days of Empress Sato, and the Mirror version of Phillipa Georgiou was the current "Faceless Emperor" of the regime. Apparently the Emperor no longer rules from Earth itself (presumably to avoid situations such as, say, someone rolling up with a big spaceship and threatening to bomb the planet to bits), because Emperor Georgiou appears on a gigantic cityship that also serves as the Imperial Palace, the ISS Charon, which looks like it's powered by a giant, star-like reactor. What we do know more about is the Empire's opponents. The ongoing rebellion against the Terrans by the races they'd conquered survived the arrival of the Defiant the century prior, and is now joined by the Klingons. Unlike their prime counterparts of the same era, these Klingons successfully united the ruling Houses of their homeworld - led by the Mirror version of Voq, who became a prominent rebel figure known as the "Firewolf" - to form a single front pushing back against the Terran Empire alongside the Tellarites, Andorians, Vulcans and other species. Sadly, it seems like much of this fleeting rebellion might have been destroyed, after Emperor Georgiou callously bombed its main base of operations before Voq and his fellow allies could evacuate. Who knows, maybe we'll learn they survived by the time Discovery's first season has come to an end? Speaking of Discovery, the crew, currently trapped in the Mirror universe, spent this week's episode trying to get a hold of the Defiant's records, hoping to figure out how it mysteriously appeared in the Mirror-verse in the previous century in hopes of using that info to return to the Prime universe. You can learn more about how that went in our most recent Star Trek: Discovery recap. Our first-ever encounter with the Mirror Universe in the original series episode "Mirror, Mirror" is set just a decade after the events of Discovery. But we still get some new information, such as the fact that despite the Vulcans having been subjugated centuries ago by the Empire, by the 2260s they could serve aboard Imperial starships - in fact, Spock wasn't just allowed on-board the ISS Enterprise, but served as its second-in-command. His father Sarek, revealed as a rebel against the Empire in Discovery's Mirror Universe adventure, was probably whatever the Vulcan equivalent of "royally pissed" is about it. Otherwise, everything's the same. 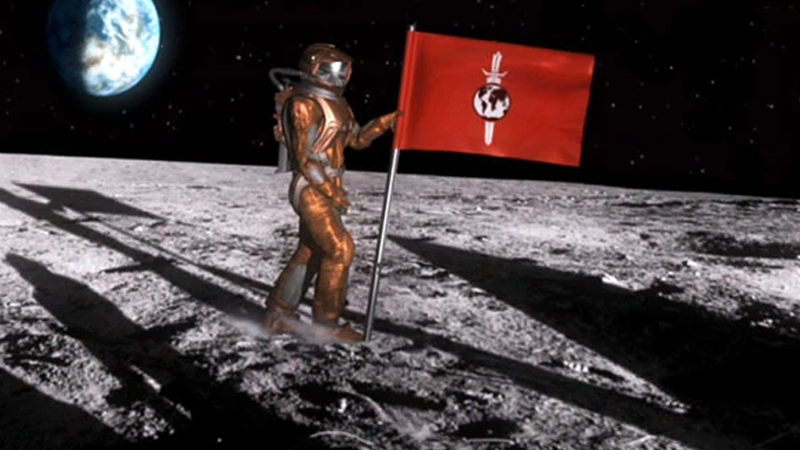 The Terran Empire still ruled the quadrant, gleefully putting down rebellions when they arise with an iron fist. 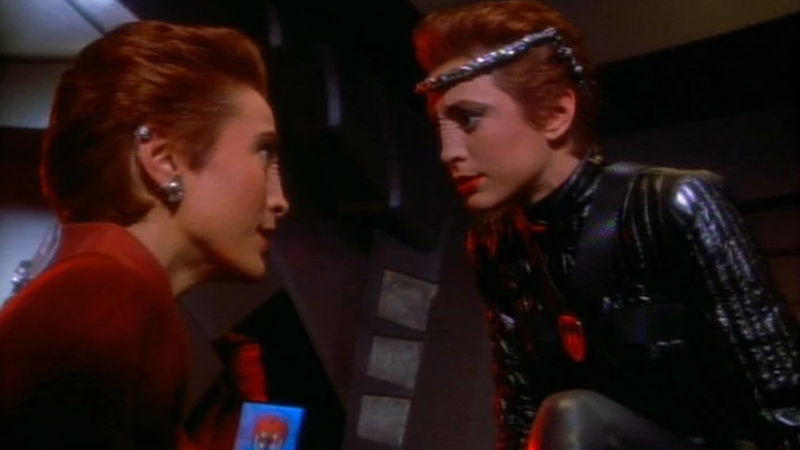 It isn't until the end of "Mirror, Mirror" that the seeds are sown for a major change in the future of the Mirror Universe. Near the end of Prime Kirk and team's sojourn into the malicious alt-reality, Kirk managed to convince Mirror Spock that it's illogical to serve an Empire that's doomed to fall one day, and that no galactic rule could perpetually sustain itself on fear and cruelty. The words stick with Mirror Spock, who went on to overthrow Mirror Kirk and eventually spark a revolution that would fundamentally alter the Mirror Universe forever. Prime Kirk also gave Spock access to a mysterious secret weapon his Mirror counterpart had, called the Tantalus Field, which Kirk presents like it can kill literally anyone in the universe remotely - which seems like it would be a very convenient bit of gear for anyone planning a violent revolution. Yay? By the late 24th-century, the Mirror Universe had undergone the most dramatic changes it had ever seen. Good news: Mirror Spock took Kirk's message to heart, using his position of power (and aforementioned superweapon) to rise to rule the Terran Empire, enacting a swathe of reforms that brought about disarmament and a more peaceful, less warlike version of itself. Bad news: That less aggressive and demilitarised Empire got overthrown by an alliance between the Klingons and Cardassians, which liberated the worlds ruled by the Empire, and proceeded to enslave the Vulcans and Terrans themselves. The Alliance then became the dominating rulers of the Alpha Quadrant, led by Regent Worf. Suddenly finding themselves ruled instead of ruling, Terrans formed a rebellion quite like the ones they'd spent the prior centuries ruthlessly putting down. Inspired by an accidental trip into the Mirror Universe by Dr Bashir and Kira Nerys in Deep Space Nine's "Crossover", the Mirror version of Benjamin Sisko led an organised revolution against the Alliance forces, striking out at the planet Bajor, a key member of the Alliance following its liberation from Terran hands, and the Cardassian station it was ruled from. Mirror Sisko fell in battle, and was replaced by the Mirror version of Miles O'Brien. With a little help from the Prime reality in the form of plans to for a new ISS Defiant, the Terran Resistance eventually captured Mirror Worf, signalling the downfall of the Alliance's rule. Though we last saw the "latest" from the Mirror Universe all the way back in 1999 on TV, ancillary Star Trek material has attempted to try and fill in some extra gaps in the alt-reality's centuries-long timeline. 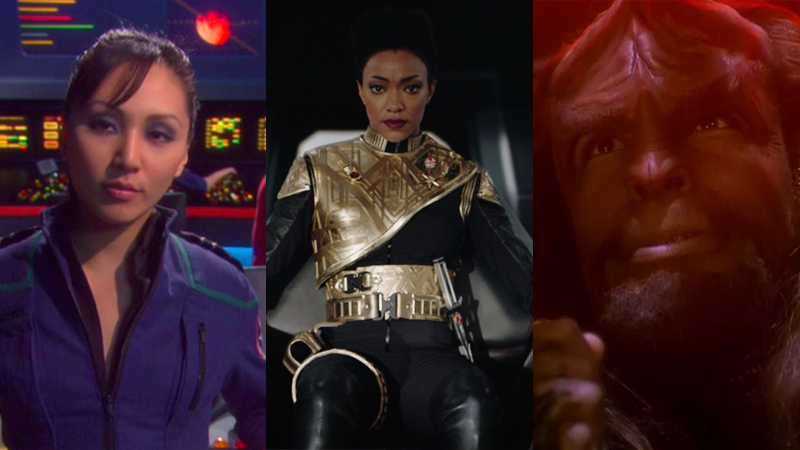 Everything from books, to video games, to even comics have slotted themselves into the spans of decades left untouched by Trek series, but beyond Deep Space Nine, we don't really have an idea of where the Mirror Universe went after the Alliance's downfall. For the foreseeable future, that's likely to be the case. The only way we'll see the future of the Mirror Universe is if Star Trek's TV adventures travel beyond where past shows have gone before. With Discovery here to stay, that's unlikely to happen any time soon.